Transmedia performance consisting of a spoken presentation and the use of a computer interface with video, audio, animation and internet navigation. Duration and content varies. 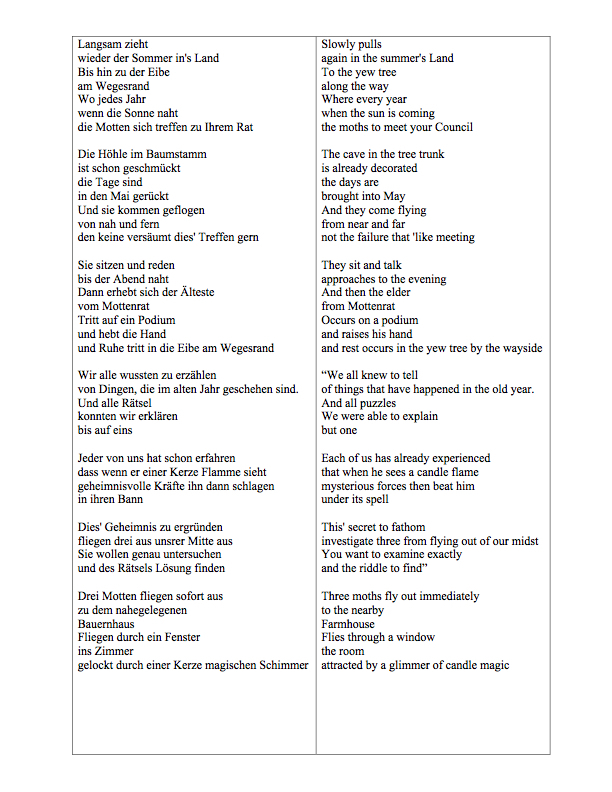 Inspired by the 1972 song, "Der Rat Der Motten" by Witthüser & Westrupp. The narrative in the song recounts the "candle magic" by which a moth is attracted to a flame. Discovery of this secret attraction is, as described, fatal and fated to remain unknown. The structure of the performance, contrived to follow a number of links and sidetracks related to the idea of an unknowable future, is modeled on the 'rabbit-hole' experience of internet navigation. 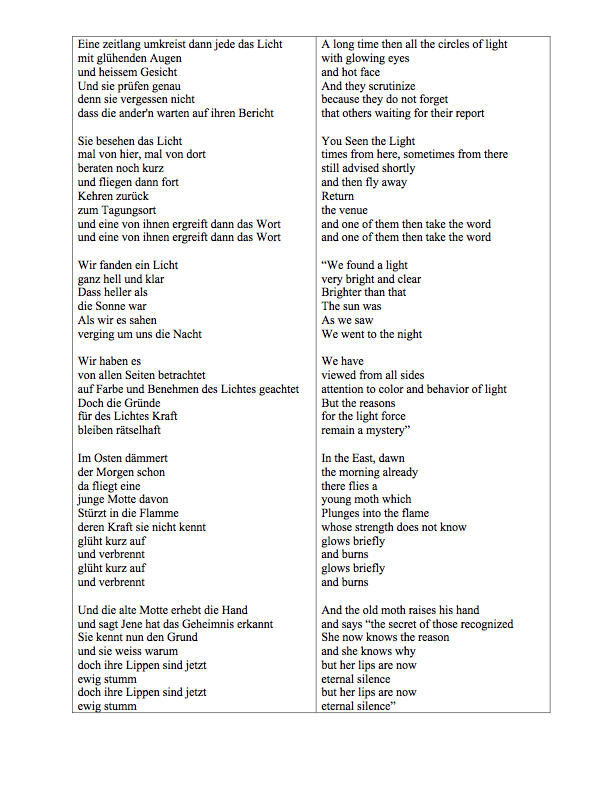 The piece includes a reading of the lyrics in English, as translated by google, alongside the YouTube video for the song (embedded below). Music, lyrics, and video artwork not by me.